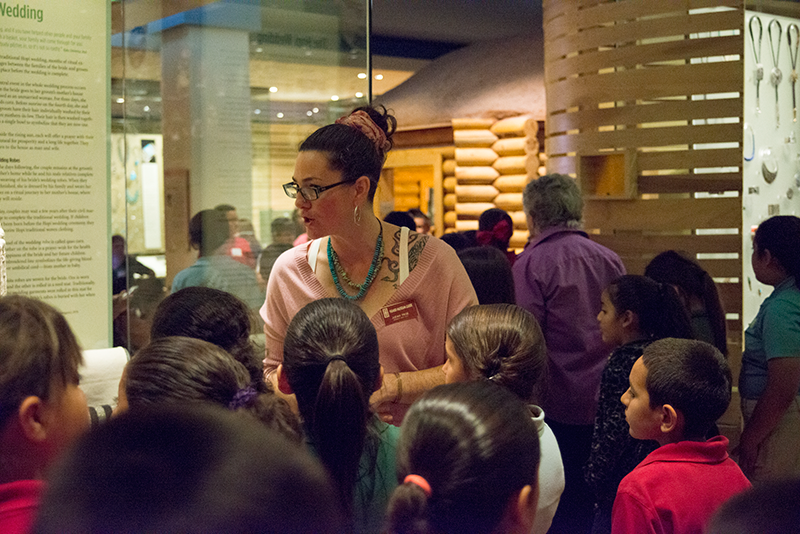 Public and private school teachers, student teachers, home school educators, school administrators and principals: Come to the Heard Museum’s Educators’ Open House to learn more about field trips and our Free Admission Program for K-12 students — and so many educational opportunities here! You are invited to a free Educators’ Open House to view firsthand the rich educational experience that the Heard has to offer. Sponsored by the museum’s Education Department, the event takes place on the fourth of this year’s Summer Sundays, July 26, in the North Foyer of the Steele Auditorium at the Heard. Again, admission is free. Take one of the many tours on the hour between 11 a.m. and 3 p.m. throughout the day. Visit, learn, ask questions and even make suggestions to our education program and outreach manager who will be on hand to field questions about school tours at the Heard. Also, don’t forget to leave without unique teaching materials that enrich your student’s learning experience. The Educators’ Open House table will also feature our lineup of year round borrowable (free) outreach exhibits known as Panel Exhibits; come touch and feel items in a Suitcase for learning! We will also have a limited supply of Teacher Art Posters to hand out without charge. Please RSVP to sben@heard.org so we know how many teachers to prepare for! Please include your name, school and title in your RSVP.